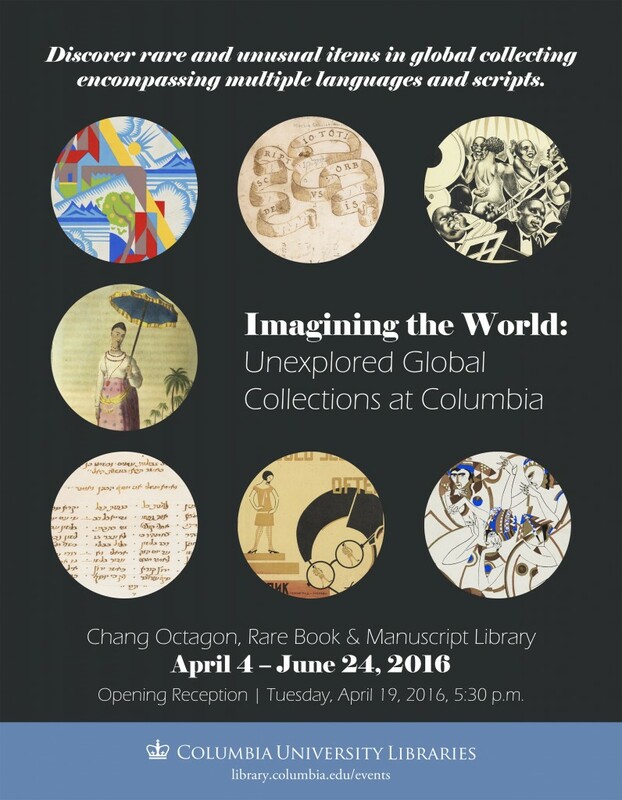 Opening the week of April 4, 2016, in the Chang Octagon of The Rare Books & Manuscripts Library, a new exhibition will offer researchers an opportunity to view a sampling of the rare and the unusual in Columbia’s Global Studies collections. 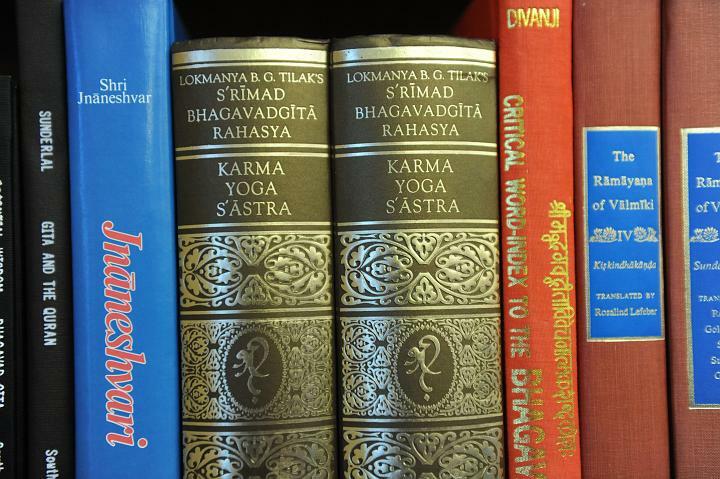 The items on display until June 24, range in date from 1454 CE to 2014 CE, in a variety of formats, including books, manuscripts, maps, photos, posters, scrolls, sheet music, stamps, and typescripts, and encompassing more than 19 languages or scripts: Arabic, Czech, English, French, Gujarati, Hebrew, Hindi, Italian, Latin, Malayalam, Persian, Portuguese, Russian, Sanskrit, Spanish, Tamil, Ukrainian, Urdu, and Wolof. This small exhibit represents only a fraction of what is collected by the Libraries to support global studies research and teaching. This entry was posted in Global Studies on February 25, 2016 by Yuusuf Caruso. Rich collection of information materials for information professionals, scholars, researchers and other stakeholders.